The opening to the relatively short-lived children’s series Pee-Wee’s Playhouse was a dream. 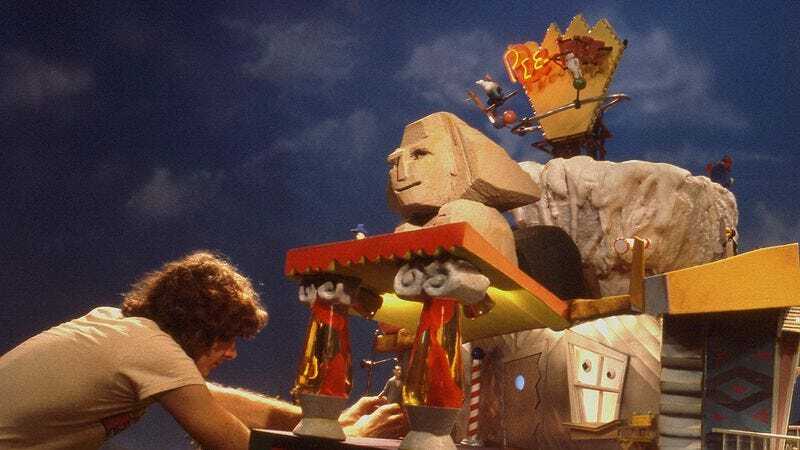 Full of claymation, puppets, and a ton of Pee-Wee Herman himself, the manic, frantic introduction is still both endearing and innovative all these years later. A new piece on Art Of The Title explores why that is, talking to some of the parties involved with the opening, including Herman. In a fascinating new oral history, the star is joined by Senior Animation Producer Prudence Fenton and Animation Director Phil Trumbo for a talk about the extensive creative process behind the titles. There are behind-the-scenes photos and sketches by cartoonist Gary Panter, all of which are just as charming as the opening itself. There’s even a time-lapse video shot during a shoot for the re-vamped credits in 1989. It’s a fascinating treasure trove of art and information, and a must for any Playhouse fan.